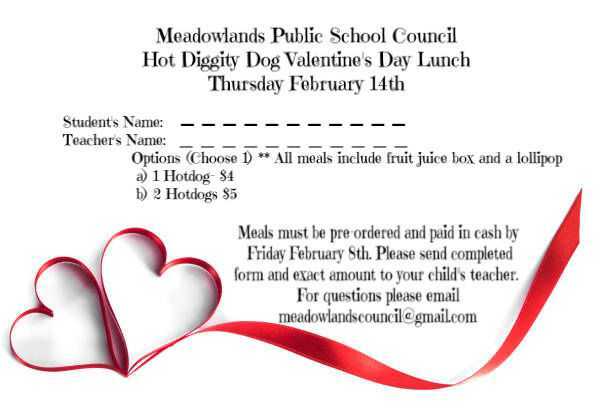 Valentine’s Day will be Hot Dog Day at Meadowlands. If you would like to order a hot dog for your child, please print off the form below, or download it here. Return the completed form and cash by Friday, February 8, 2019.